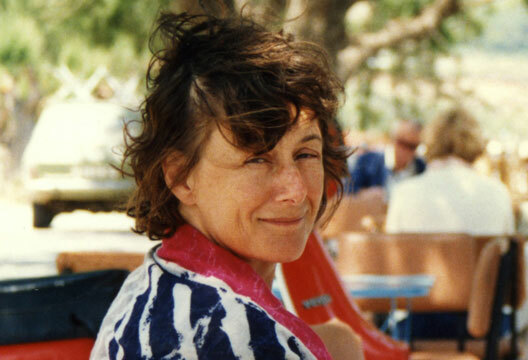 Judith Greene – ‘Judy’ to her friends and colleagues – is easily remembered as ‘A Force To Be Reckoned With’, having steered a small Psychology department to a position of international prominence in teaching and research. But treating Judy as a ‘Force’ is to overemphasise one trait at the expense of others, which she enjoyed in equal measure: her dedication to understanding the student’s point of view, her astute professional editing skills, her savvy political instincts, her socialist ethic and its attendant belief in fairness and the common good, and her natural warmth and empathy. Consider her understanding of the student’s point of view. Judy chaired an innovative Cognitive Psychology course in the mid-1970’s, deciding not only to include significant components of Artificial Intelligence and Cognitive Science, but also a self-contained statistics primer in order to help students better design and interpret the results of their psychological experiments. Judy knew from a decade of teaching mature students at The University of London’s Birkbeck College that existing materials let down the lone adult student, so she wrote Learning to Use Statistical Tests in Psychology with colleague Manuela D’Oliveira, producing a successful book that not only includes a student-friendly pop-out decision chart, but also, to quote a typical 5-star review, ‘…reads like a page turning novel.’ Judy knew that there was no point in just writing ‘the technically correct thing’ for a bored or confused student audience, so always tried to convey ideas in an readable, approachable and enjoyable manner, to the delight of tens of thousands of students. She also authored Thinking and Language and Memory, Thinking and Language, now translated widely and being republished in hardback in the Psychology Library Editions by Psychology Press. These books built upon Judy’s own doctoral work on Chomskian transformational grammar and established her as both a thought leader in modern Psychology and a talented writer who could clearly explain the subtleties of higher level cognition to a wide audience. What about her editing skills? Judy had spent years as an editor of a popular travel guide series (she had some great holiday tips), and as a result was capable of dramatically improving text with an uncanny combination of speed, accuracy and good taste. Within the OU Psychology department, she was well known for her tireless deployment of ‘The Green(e) Pen’ – our drafts would be returned full of green ink, shortened and clarified, once again to the ultimate delight and benefit of tens of thousands of students. Politically savvy? That’s an understatement: she was a firm, fair and principled decision-maker, and also knew her way around funding agencies and the University Administration. Attaining recognition for Open University Psychology degrees by the British Psychological Society (and thereby enhancing the career prospects of thousands of OU graduates), was one of her hard-fought-and-ultimately-won battles: to the BPS, ‘distance teaching’ seemingly fell short of the obvious requirement that Psychology students needed to understand how to conduct experiments and attain suitable lab experience. Yet Judy persuasively made the case that OU summer schools provided nothing less than boot-camp-grade intensive training, quality-controlled by rigorous external examiners from the top Universities. Moreover, the teaching materials developed under her leadership were so highly regarded that they were being bootlegged by lecturers from other universities – she had won her case. Always true to the socialist roots of her upbringing as the daughter of former Labour Foreign Secretary Patrick Gordon-Walker, she was eminently fair-minded and even-handed in her treatment of colleagues. She encouraged and then mentored staff, including non-academic staff, to write or co-write major academic teaching materials, some of which went on to become best-sellers in their own right, with career-changing implications for the staff concerned. Decisions were typically agreed by consensus: rarely did a meeting end until everyone around the table was on board. Judy’s nuanced approach to firm-but-fair leadership was a model for us all. Regarding her warmth and empathy, suffice it say that she was always there for staff and students alike. Marital breakups seemed alarmingly commonplace in the mid 1970’s, and, for more than one member of staff, Judy’s shoulder was the shoulder to cry on. Her love of cooking, music, art, literature and wine were the ingredients of many memorable and long evenings round the dinner table. She was a devoted friend and mentor to the colleagues she worked with, inspiring the next generation to adopt her empathetic approach. Camaraderie was one of the hallmarks of her department: she encouraged us to join her parties and picnics, and launched a series of annual fun outings with activities and destinations as diverse as bathing in Margate, thrill-seeking at Alton Towers, and punting in Oxford. She worked hard, and she expected her department to do the same, but the rewards were great, the laughter was infectious, and the friendships were deep and lasting. Judy went on to become Open University Pro-Vice-Chancellor for Research and Overseas development, piloting the university through its first Research Assessment Exercise and establishing a unique venture in Singapore which enabled Open University courses to be offered in the context of a traditional educational establishment. She died on 24 April 2016 following a stroke four months earlier, and is survived and sorely missed by her husband Norman Gowar, Norman’s children Kate and Matthew and four grandchildren, plus Judy’s two sisters and one brother. Funeral services will be held at Golders Green Crematorium 16th May 2016 11am; arrangements by Co-operative Funeralcare 187 Holloway Road, London N7 8DJ, 0207 607 2828. Obituary by Marc Eisenstadt, who was a Lecturer, Senior Lecturer and Professor in Judith Greene’s department from 1976 to 1995.